Today I am sharing another of the August club projects! 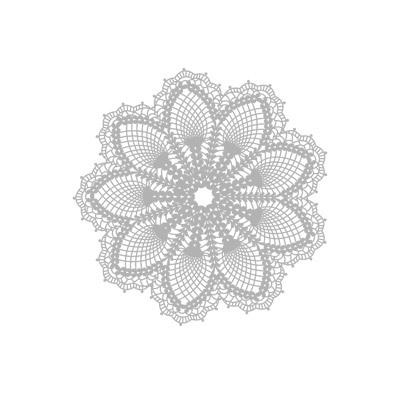 When I say the Hello, Doily stamp in the new catalog, I just knew I MUST have it! Not only did I get it but I got it for FREE at Convention! It is a large background stamp — just as the Medallion is. This project is one that is VERY simple yet elegant. It is easily reproduced and would be an awesome gift for someone if you stamped them in several different colors and changed the greeting on them. Perhaps that will be one of my mother-in-laws Christmas gifts! 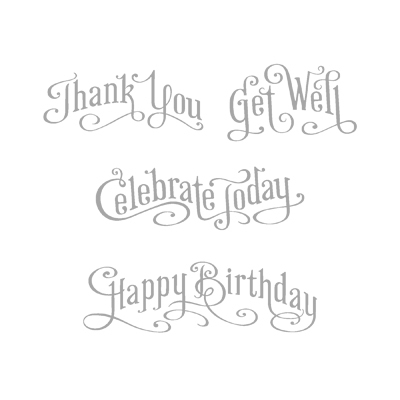 The card shown here is a card base of Whisper White, then a layer of basic black cut 4″ x 5-1/4″. The top layer is another piece of whisper white cardstock that is cut 1/8″ smaller on both the length and the width. The doily was stamped with basic black ink as was the greeting. The ribbon is our black satin. Can you also see the “speckles” of black on the project? That was done with our color spritzing tool and your basic black marvelous marker! The greeting on this card comes from the stamp set Perfectly Penned — this set I also got FREE at Convention! Below are the images of both sets as well as the item numbers and prices so that you can go directly to my 24/7 online store and place your order!